Owing to the vast industry experience, we are providing a huge collection of high-quality Rubber Wood Box to our valued clients. The offered product is widely used. Established in the year 2011, we, Packwell Solutions Industries, are widely acknowledged as a prominent manufacturer of the best range of Wooden Pallets, Aluminium Foil, Corrugated Boxes, Craft Paper, HDPE Rolls and many more. 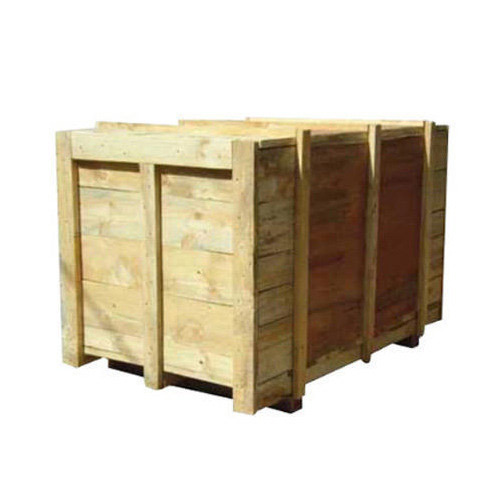 This range is manufactured by making use of high-grade wood and other required basic material. All our products are at the peak of demands owing to their significant attributes such as durability, high load bearing capacity, fine-finish and light weight. Our clients can avail these offered products at market leading rates.